Are you looking for the best WordPress themes for a small business? For a small business website, you’ll need a theme that can showcase your products and services professionally. 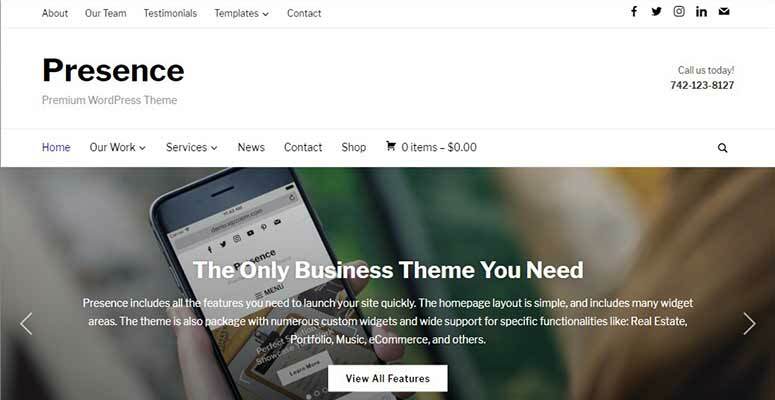 In this article, we’ll share the best WordPress business themes for small businesses. WordPress is the best website builder in the world. It’s easy to set up and flexible in terms of features. WordPress is used by many top brands for their websites. You’ll find 2 types of WordPress on the market: WordPress.com is a hosted solution, whereas WordPress.org is a self-hosted platform. See our detailed comparison between WordPress.com vs WordPress.org for more information. 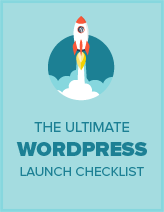 To create a small business website, we recommend using self-hosted WordPress.org which is more powerful and offers instant access to all its features. First, you’ll need to buy a domain name and a web hosting account. Web hosting costs around $7.99 per month. Initially, this fee can feel like a lot for a small business website. We recommend using Bluehost web hosting. 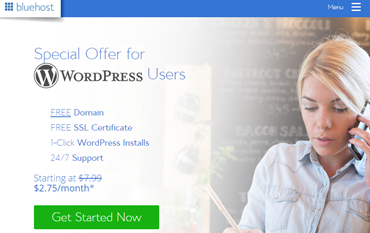 They’re an official WordPress hosting partner, and one of the top WordPress companies in the world. Plus, Bluehost is offering a free domain, SSL certificate, and a discount on web hosting to our readers. You can get all of it for $2.75 / month, which is much more reasonable for launching your small business website. Once purchased, you can follow our complete guide on how to make a website and install a theme in WordPress. 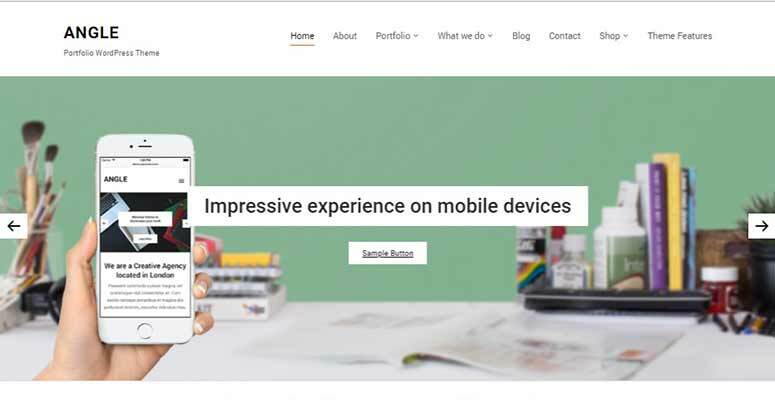 Now, take a look at the best WordPress themes for small business websites. 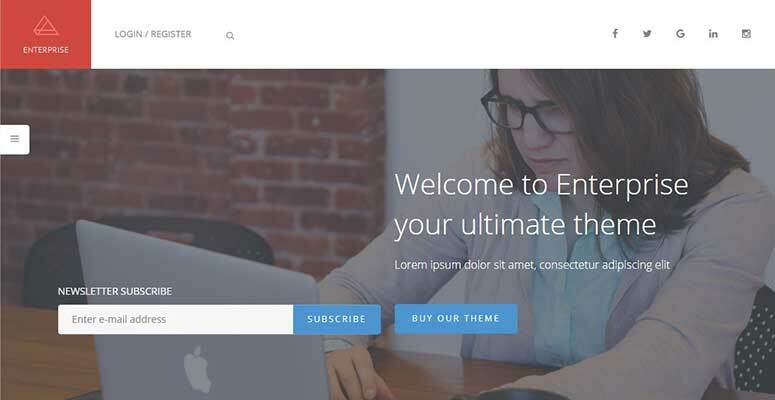 Enterprise pro is a beautiful WordPress theme built specifically for small business and corporate websites. It’s based on the Genesis theme framework, which gives the theme a rock solid foundation. Enterprise Pro comes with built-in sections to display your services, featured content, team profiles, and more. It ships with a full-width navigation menu, custom image slider, and unlimited color schemes. You can use the live customizer to edit the theme and add your content quickly. 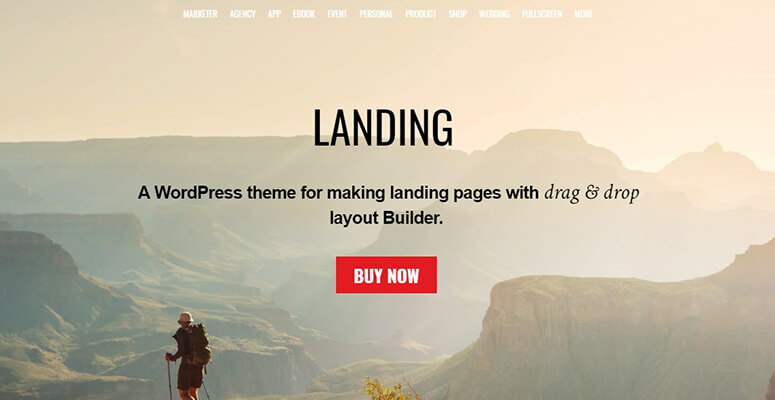 Landing is an excellent WordPress theme that can be adapted easily for your small business website. It offers a built-in page builder which helps you quickly create pages and launch your website. It features ready-made page templates, full-width background sliders, parallax effects, header templates, and a lot more. Landing is easy to set up and offers premium features for small business websites. Executive Pro is a stunning WordPress theme for small business, corporate, or professional services websites. It’s built on the Genesis framework and uses a built-in page builder to add features. The theme includes ready-made page templates, newsletter subscription forms, contact form support, and more. It offers a fullscreen image slider with a call-to-action button. It has unlimited color options, widget-ready layouts, custom theme options, and a powerful navigation menu. 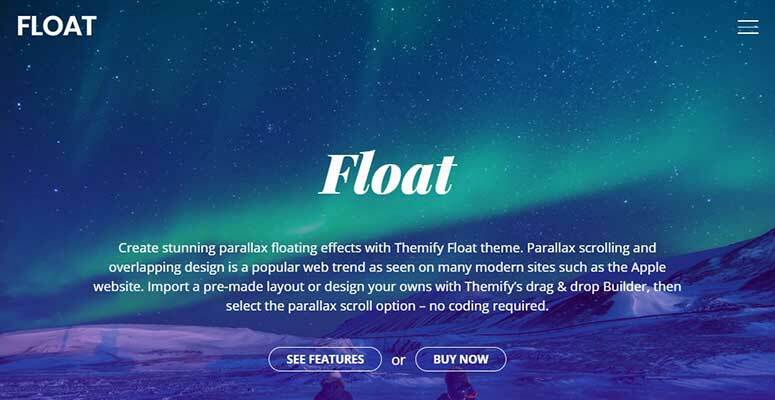 Float is a powerful WordPress theme designed specifically for small business websites. It comes with a ready-to-use page builder to quickly launch your website. It includes page templates, social media icons, infinite color schemes, parallax effects, beautiful background options, and more. 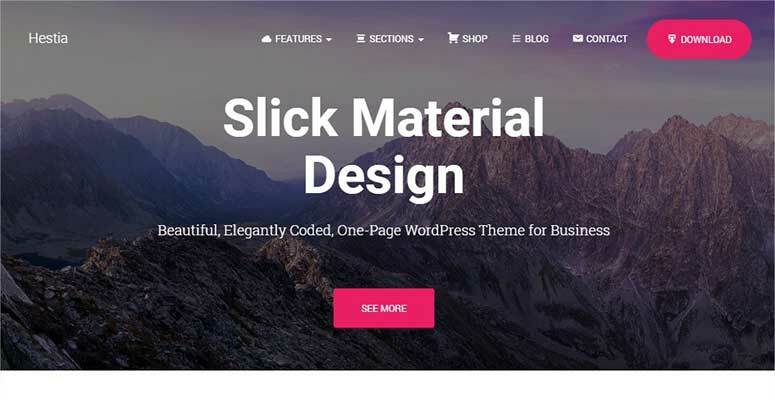 Ultra is a perfect WordPress theme for small business websites. It has built-in layouts that can be used to create a website of your choice in no time. You can use the powerful page builder to add features and content on your website. Other notable features include multiple navigation menus, custom widgets, unlimited color schemes, custom theme options panel, and a whole lot more. Ultra is fully optimized for speed and performance. 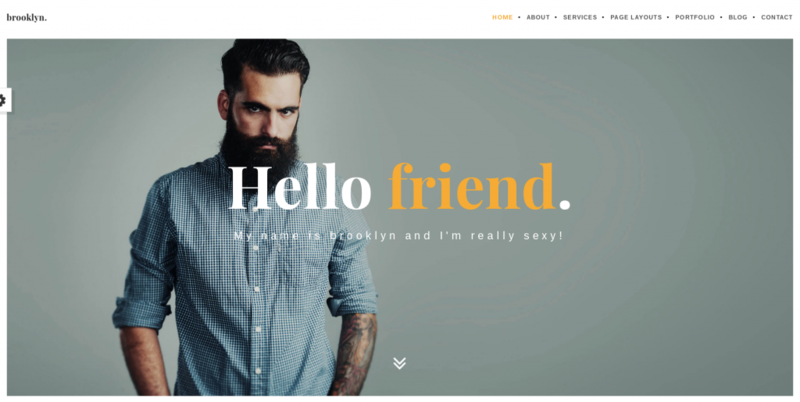 Brooklyn is one of the best WordPress business themes available in the ThemeForest marketplace. It’s trusted by over 30,000 customers worldwide and is among the top 3 bestselling creative themes of all time. Brooklyn comes with 30+ premade WordPress demos that can be installed with just a click. Its powerful admin panel has a huge menu of design options. 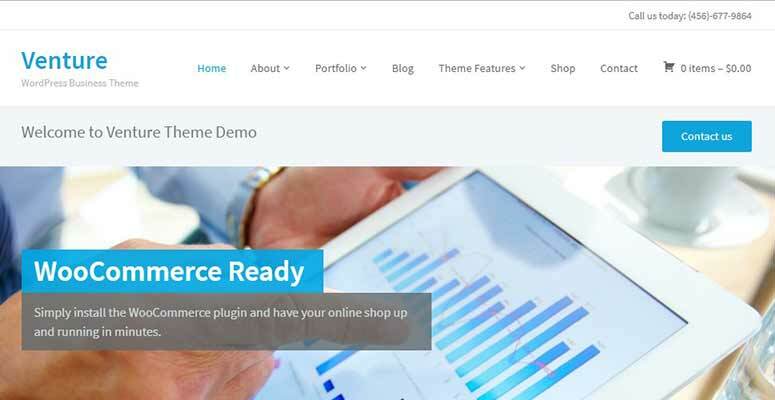 The theme comes bundled with 2 premium plugins: Revolution Slider and Visual Composer. Presence is a modern and professional WordPress theme for small business websites. It can be used on multiple business niches like real-estate, hotels, restaurants, music, and more. It’s easy to set up and offers demos to quickly launch your website. It features ready-made website sections for team members, about, portfolio, services, testimonials, and a contact form. Presence theme works great with all third-party page builders for easy customization. Roxima is a stylish WordPress theme with premium features for your small business and corporate websites. It offers custom theme options, multiple page layouts, widget-ready areas, and more. It comes with ready-made homepage sections for clients, portfolio, products, services, and team members. You can use the live theme customizer to quickly set up your website. Vantage is a free WordPress theme with amazing features to design a small business website. 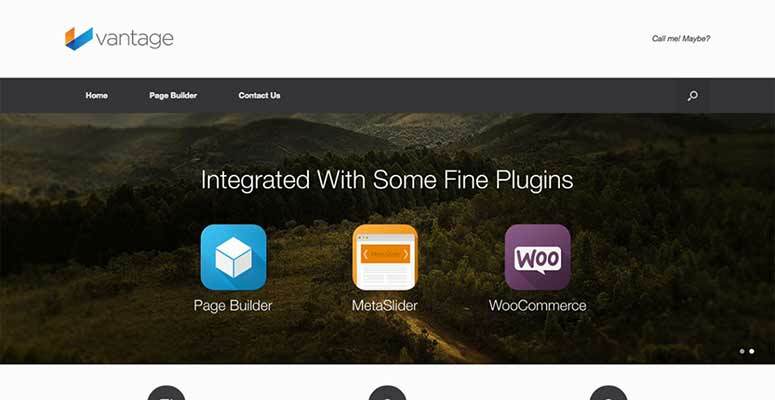 It fully supports Site Origin’s page builder plugin for quick setup and easy customization. It comes with custom page layouts, color options, companion plugins, and more. You can use the page builder to create your own layouts and templates. Hestia Pro is a beautiful and multi-purpose WordPress theme that can be easily used to create small business websites. The homepage is fully widgetized, so you can drag and drop features to quickly set up and customize your website. It features a parallax background, custom widgets, image sliders, social media icons, and color options. It’s a highly customizable theme with premium features for your small business website. 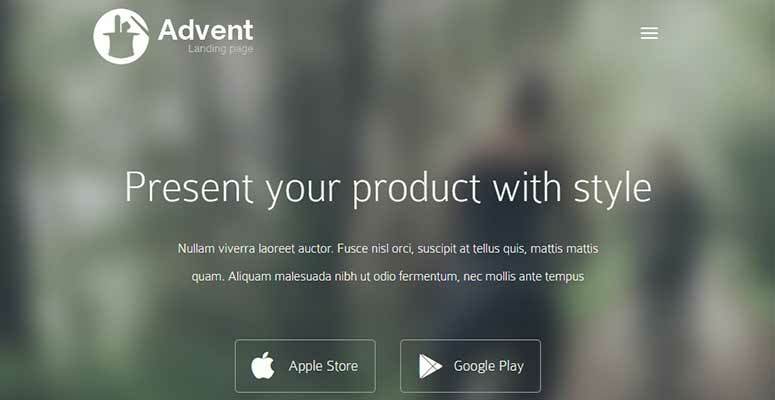 Advent is an elegant WordPress theme for small business and corporate websites. It can also be used as a landing page theme for your apps. Advent is fully customizable and offers homepage sections for overview, about, reviews, testimonials, and a portfolio. The homepage is widget-ready, which means you can easily drag and drop features. It supports custom widgets, image slider, navigation menus, header image, and more. 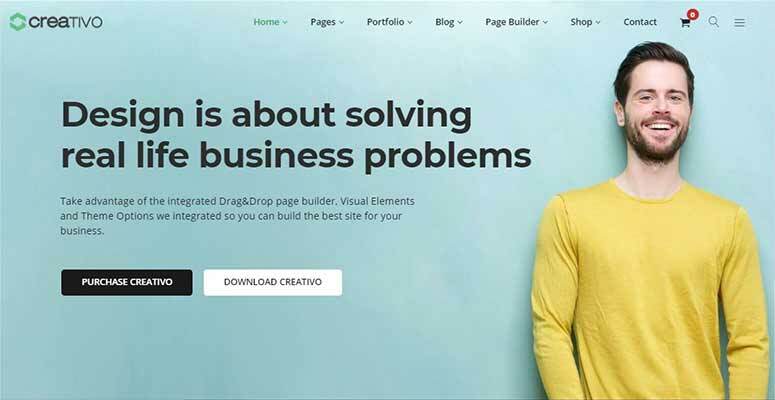 As the name suggests, Creativo is a WordPress theme for creative businesses. It offers multiple page layouts, theme skins, header templates, color options, and parallax backgrounds. It fully supports WooCommerce, so you can start an online store easily. It also includes a drag and drop page builder, companion plugin for a live chat feature, online portfolio content type, and more. Potenza is a WordPress business theme for small business and corporate websites. 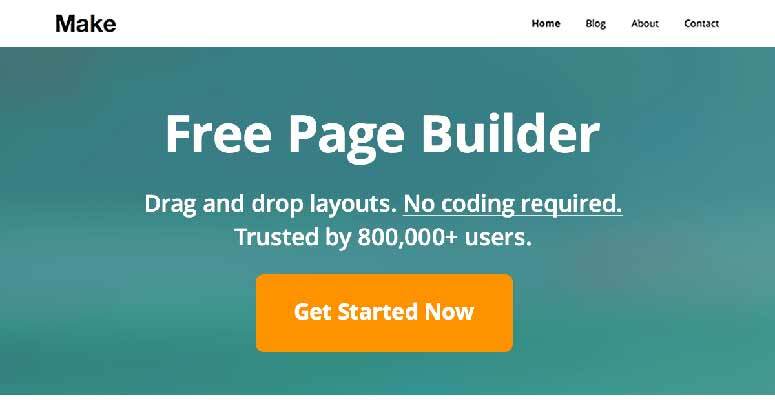 It offers premium features to design your homepage using a built-in page builder. The custom homepage slider allows you to showcase your featured posts and pages. In addition, it has custom widgets, page layouts, color options, powerful theme settings, and a lot more. Amaryllis is a beautiful WordPress theme for small eCommerce businesses. It supports WooCommerce out of the box, which means you can create an online store easily. Amaryllis features crisp typography, a large header image, a products section, and more. It includes a widget-based layout for the homepage, so you can simply drag and drop features. It’s fully optimized and easy to set up. 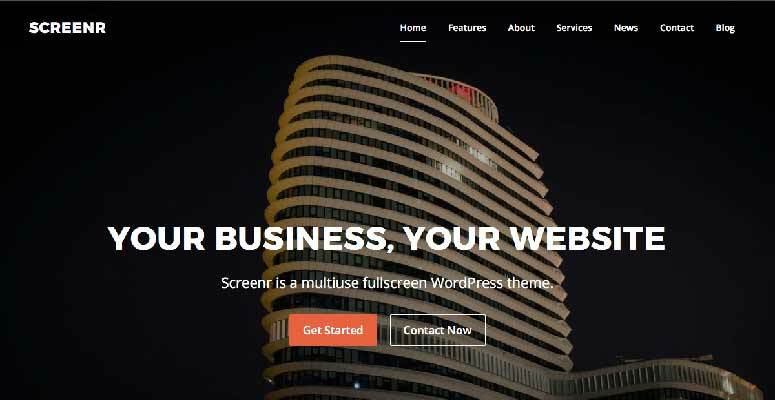 Screenr is a free WordPress business theme for small business websites. It features multiple header templates, a widget-ready hompeage, and parallax effects. It has custom widgets, page layouts, color options, and more. It’s a simple and easy-to-use WordPress theme. 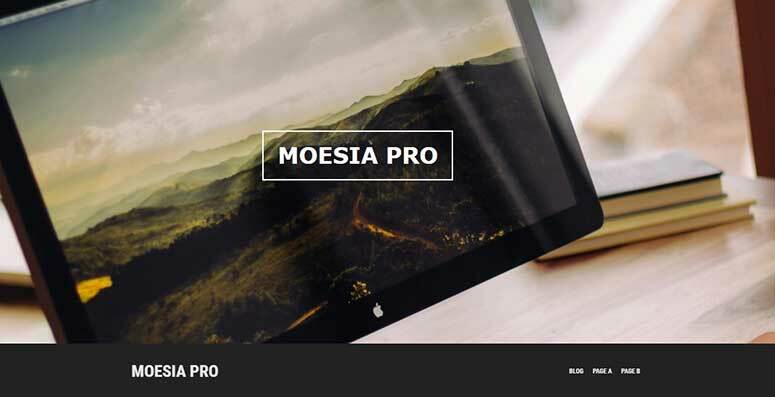 Moesia is a stylish WordPress theme designed specifically for small business websites. It’s packed with a full-width background image on the homepage. You can add text and a call-to-action button on the image. It includes a powerful page builder that can be used to create your own custom layouts for the homepage and landing pages. It supports Google Fonts, multiple sliders, sidebars, and more. If you are looking for a simple-yet-modern WordPress theme, then Ampersand is the right choice. It comes with a two-column layout, multiple featured content sections, header image, and more. It offers custom page layouts, a separate blog page, landing pages templates, and other useful premium features for your small business website. 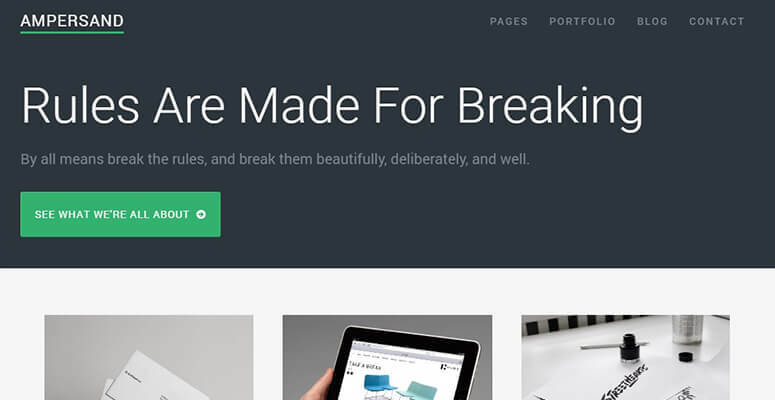 Make is another free WordPress theme for your small business website. It features a built-in page builder that can be used to create your own layout. It includes multiple ready-to-use templates to launch your website quickly. Make is easy to set up and works great with all third-party WordPress plugins. 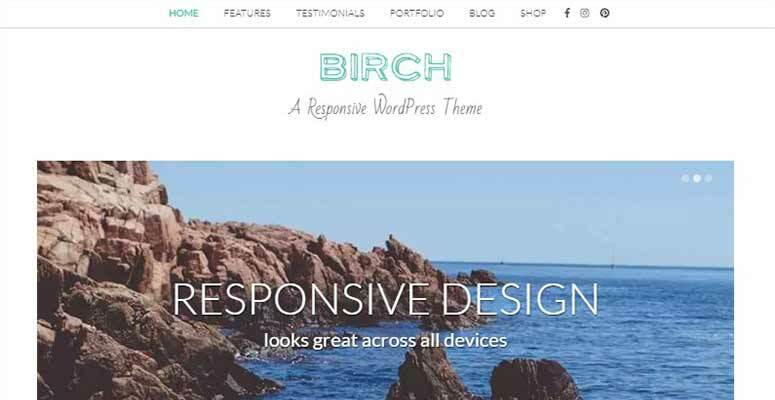 Birch is a modern WordPress business theme with the perfect premium features for your small business website. It ships with beautiful typography, custom logo, image slider, and beautiful navigation menu. It also includes multiple built-in sections on the homepage for clients, portfolio, testimonials, services, and more. You can use the live customizer to edit and set up your theme. 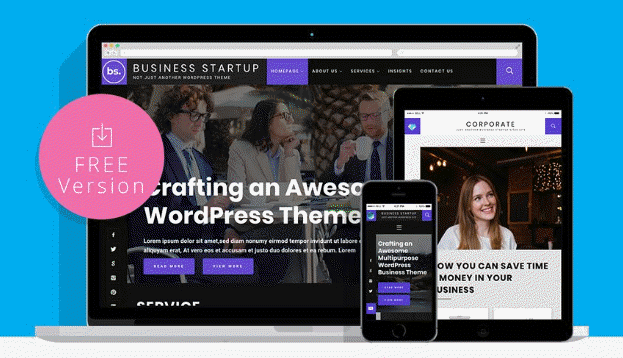 As the name suggests, Digital Pro is a WordPress theme for small digital businesses, media agencies, and corporate offices. It’s built on top of the Genesis framework, and offers useful features like a fullscreen header image on the homepage with text and a call-to-action button. It comes with custom widgets, color choices, navigation menus, page layouts, and a theme options panel for easy customization. 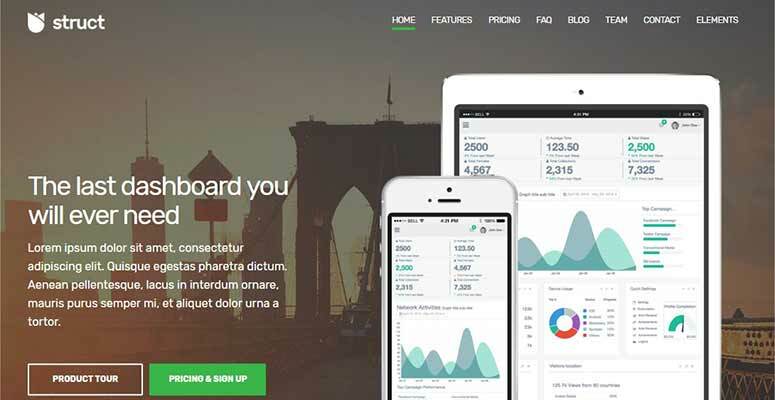 Struct is a stunning WordPress theme for small businesses, start ups, and digital agencies. It ships with a drag and drop page builder, fully widget-based homepage, and more. Aside from that, it also includes ready-made sections on the homepage to showcase your portfolio, services, FAQs, testimonials, and services professionally. 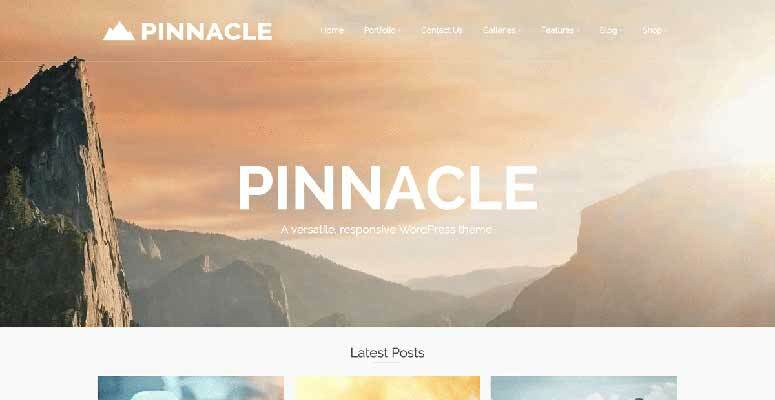 Pinnacle is a simple and free WordPress business theme suitable for your small business and corporate websites. It has a flat template, custom layouts, and beautiful design. The theme fully supports WooCommerce, and Google fonts for crisp typography. 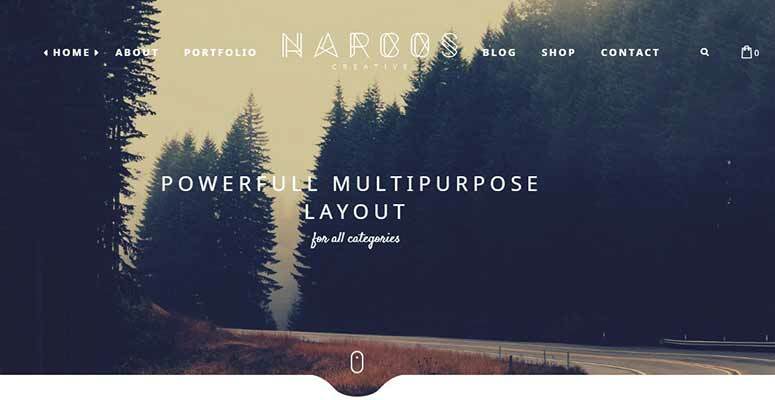 Narcos is a modern and professional WordPress theme for all kinds of business websites. It has many premium features for your small business website, including parallax effects on the homepage, full-width header image, widget-based layout, and custom page templates. It also includes homepage sections for testimonials, team members, about, portfolio, and more. It’s easy to set up and can be customized using the live theme customizer. 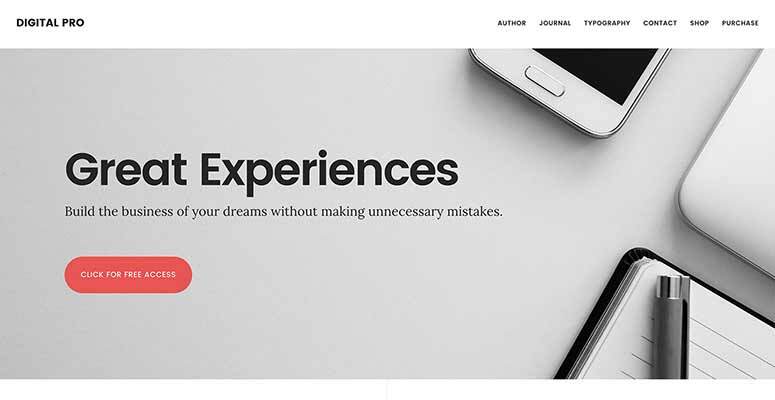 Venture is an excellent WordPress theme suitable for small businesses. It has a drag and drop page builder to quickly launch your website. The homepage is widget-based which makes it easy to add features and content. Venture fully supports WooCommerce. Other notable features include homepage slider, custom logo, navigation menus, color schemes, and more. 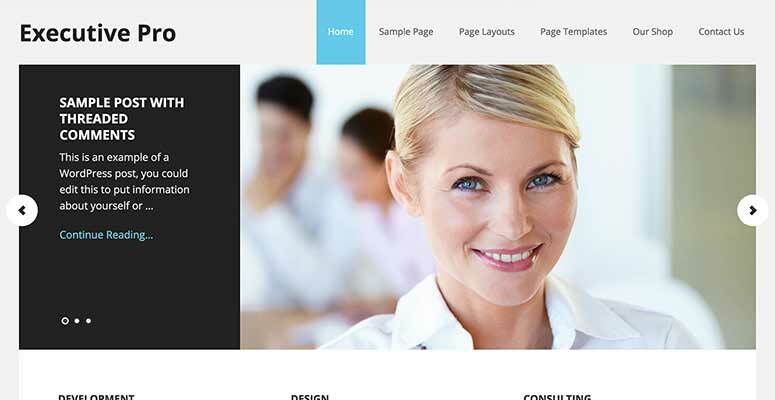 Angle is a premium WordPress business theme designed specifically for small business websites. It comes with a built-in drag and drop page builder that can be used to add features and content quickly. It has built-in sections for testimonials, portfolio, clients, about, contact, and more. Angle has multiple layouts to easily create your landing pages. 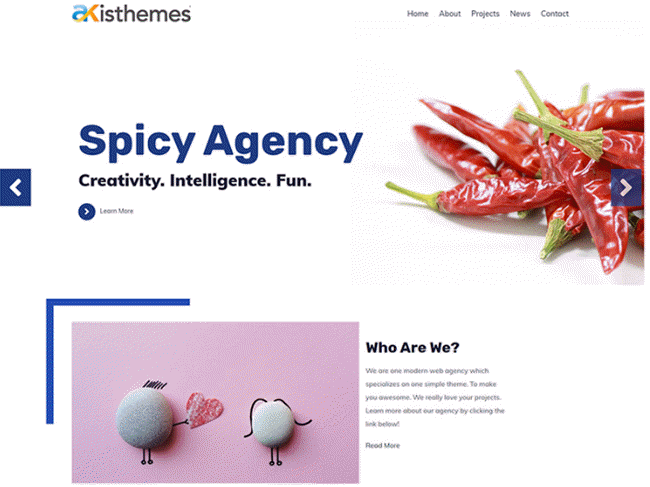 Atlast Agency is a perfect WordPress theme for freelancers and agencies. This free theme allows you to quickly build a unique design for your site. You can also easily install the demo data with just a single click. This theme also comes with unlimited slides and 4 different layout sections for portfolio. Atlast Agency is translation ready and fully compatible with WPML and other multilingual plugins. This theme is responsive, meaning your site works perfectly on any devices. Best of all, the theme is completely free and is available to download from the WordPress.org repository. Business Startup is yet another multipurpose theme for all kinds of agencies and freelancers. 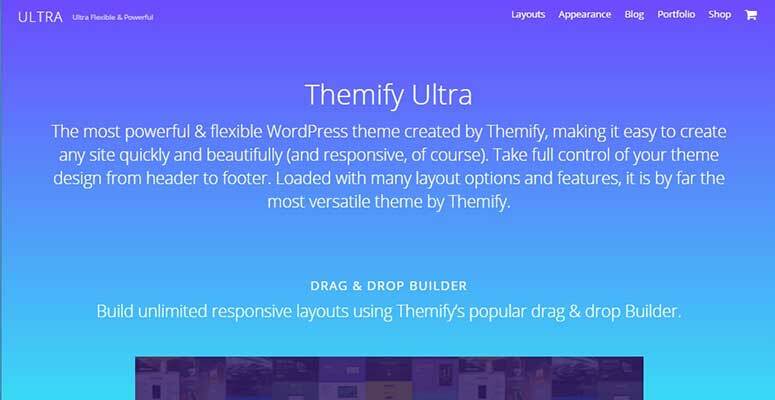 This theme comes with a drag and drop builder to help you customize your pages and layouts on your own without hiring a developer. You can import the demo content with just a single click, so you can get your site up and running quickly and easily. 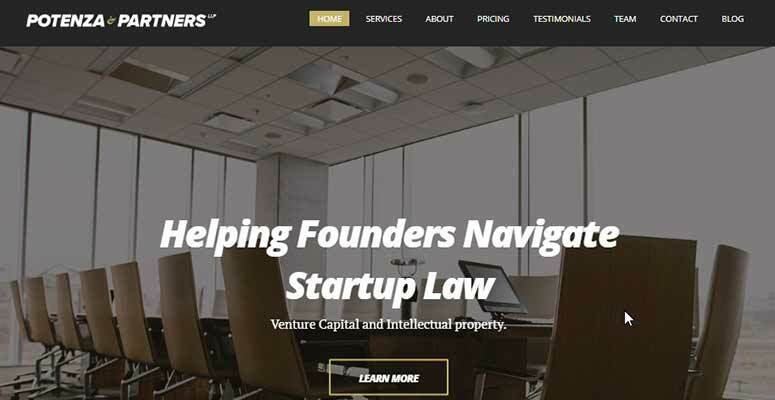 The Business Startup theme is compatible with Elementor Page Builder and the WooCommerce plugin. 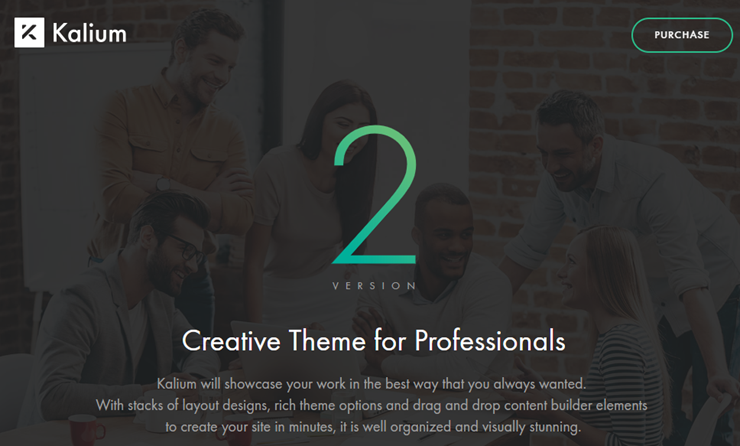 Kalium is a creative portfolio theme that helps you showcase your work in the best way you always wanted. Kalium comes with loads of demos that help you quickly build a website without having to create it from scratch. Coming soon & maintenance: Get your visitors excited even before you actually launch your site. 15+ header style: Choose from a wide variety of header styles. 30+ portfolio item types: With portfolio item types, you can choose how your work is shown on your site. We hope this article helped you to find the best WordPress business themes for small businesses. You may also want to see our guide on how to make money from online blogging.